Children exposed to bright light in the afternoon are slimmer than children exposed earlier. This one surprised me. I may have to chew on it a bit. Saying “some other time” instead of “no, never” in response to temptation reduces consumption of said temptation in the immediate moment and over time. Some mosquito species have evolved to love how we smell (and use us as their sole food source). Obesity increases prostate tumor aggression. Today’s guest post is an original recipe from my eldest, Devyn Sisson! Devyn is hard at work writing her first cookbook, Kitchen Intuition. In the meantime, check her out on Instagram for more recipes and kitchen tips. I’m Devyn, aka, The Intuitive Chef, aka, Ms. Kitchen Intuition. Whatever alias I go by, “Dev” is always a good fallback. I just received my Masters in Spiritual Psychology, started writing a cookbook called Kitchen Intuition, and recently completed an integrative nutrition program. Although I’ve learned from cookbooks, the trusty Food Network, and amazing chefs along my journey, I’ve always trusted my intuition when it comes to cooking, paying close attention to my body and taste buds to create strange, delicious, new, exciting recipes that I get to test out on my brave friends and family. And I’d like to share one of those intuitive variations with you today. This isn’t a weight loss story, although I am extremely proud of all those Apples who’ve experienced tremendous weight loss success–kudos! Mine is, however, a story about how Primal living allowed me to exterminate my auto-immune issues and overcome my lifelong battle with eczema. I grew up in Johannesburg, South Africa, during the post-Apartheid Nelson Mandela era. My folks and I moved there from London in 1994 when I was two, so I count myself lucky to have been exposed to people from a multitude of cultures, nationalities, and faiths. It’s quite hard to imagine that only 10 years prior to that blacks and whites lived in forced separation from each other under an iron-fisted government! A year’s supply of Primal Fuel. That’s 12 months of my ultimate, low-carb, high-fat, high-protein shake mix delivered right to your door! Primal Fuel serves as the perfect post-workout treat or meal replacement; curbing hunger with healthy fats, helping build and maintain muscle mass with 20 grams of whey-protein isolate, and improving digestion and immunity with the addition of prebiotics. Go with Vanilla Coconut Creme or Chocolate Coconut…or alternate between the two. Winner’s choice! 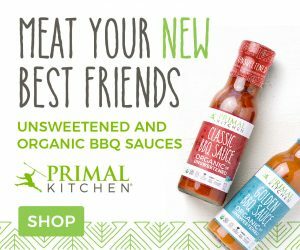 Contest: What’s in Your Primal Kitchen? Prize: The Holy Grail of PRIMAL KITCHEN? Care Packages! 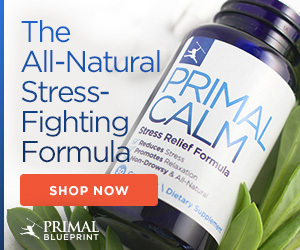 3 Bottles of Avocado Oil: More heat stable than olive oil and a wonderful alternative for those who don?t like the taste of coconut oil, PRIMAL KITCHEN? Avocado Oil is perfect for searing, drizzling, sautéing, stir-frying and dressing. Use to make marinades, finish sauces, or even in lieu of butter for all your baking needs. 6 Jars of Avocado Oil Mayo: PRIMAL KITCHEN? Mayo is the perfect companion for your deviled eggs, coleslaw and chicken salad needs. Every dollop is chock is full of good fats, phytonutrients, and other antioxidants, so you can use it lavishly?not sparingly?to upgrade the flavor and nutritional profile of your meal.